Brand new from Papo. 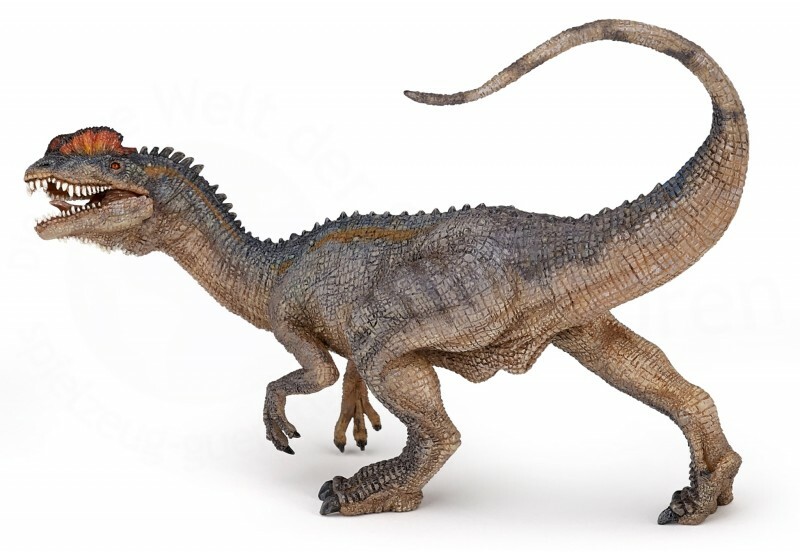 This Dilophosaurus features an articulated jaw that Papo has become well known for, and has set them ahead of the pack of other dinosaur lines. A theropod carnivorous dinosaur from the early Jurassic period (approximately 200 million years ago), the Dilophosaurus could measure up to 6 m in length and must have weighed around 500 kg. Its articulations enabled it to fold back the two bony crests on its skull, which made it so unusual and which gave it its name (double-crested lizard in Greek). Tags: 2014, articulated jaw, dilophosaurus, Papo.